SHIP BOTTOM, N.J. - Dec. 12, 2018 - PRLog -- Winter on and around LBI brings an opportunity to treat yourself or those you care about to some well-deserved down time. Southern Ocean County Chamber of Commerce has coordinated with its members to add a unique line up of options. 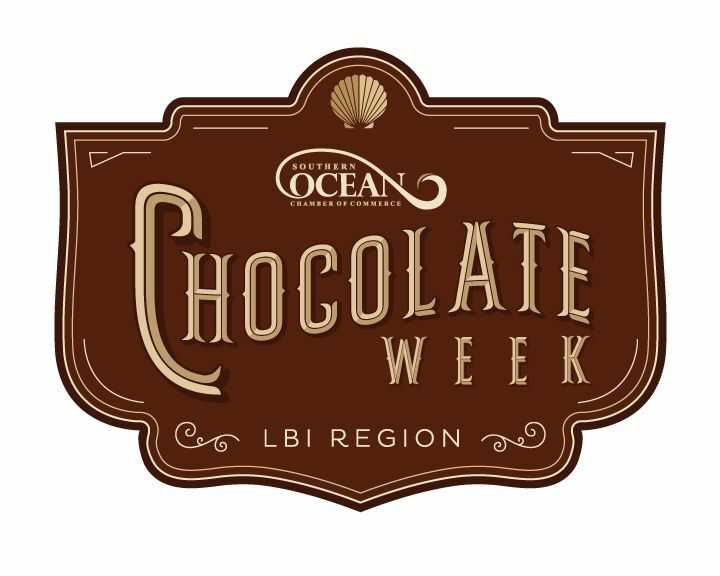 Just in time to make winter a little bit sweeter, Southern Ocean County Chamber Members present Chocolate Week 2019! Chocolate Week is a series of offers, activities and events that include Valentine's Day and President's Day Weekend; to encourage out of area visitors as well as serving local residents happening between Feb 10-17. Keeping the focus on simple pleasures that tie in with cozy mid winter escapes, the Southern Ocean County Chamber coordinates local businesses and organizations to extend special promotions, offers and classes that are being to create a sweet vibe throughout the Long Beach Island Region of the Jersey Shore from Barnegat, Long Beach Island, Stafford and Tuckerton and Little Egg Harbor. With offerings for every palate, it helps build an itinerary for visiting friends and family as well as vacationers. A good place to start for all 21 and over is the Southern Ocean Made Surf and Sip Brew Trail featuring offerings and events from three local craft breweries as well as surf experience related galleries, shops and hands on exhibits to keep that remind us that summer will be coming. For families looking for something to do with the under 21 set, Passport of LBI is loaded with non profit cultural organizations will have movie screenings, demos and events to make your stay even richer, with a new Study Abroad Component being offered for those who like to dive deeper into the history or environment of our area. From decedent open houses, chocolate themed sales, delicious drink specials and creative menu items, please sure to follow @southernoceanchamber and @lbiregion on social as well as www.visitLBIregion.com for updates on the latest listings. Stop into the Southern Ocean Chamber Visitor Center at 265 W Ninth Street for a sweet treat through the week and pick up the latest maps, guides and business information or call at 609 494 7211.